Manufacturing organizations that are ISO-certified have an edge over those that are not. Additionally, products manufactured for something as demanding as aircrafts further requires more stringent standards. 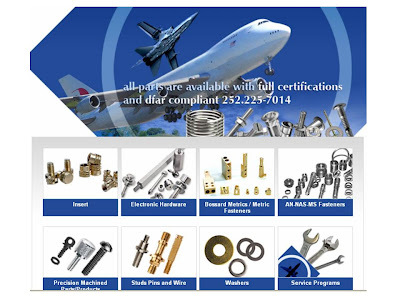 Diamond Fasteners, an ISO-9001:2000 and AS-9100 certified distributor of Aerospace Fasteners, components and electronic hardware, represents a very wide range of hardware manufacturers. Whether you are looking for Aircraft Hardware or electronic hardware, they can help you find the fasteners you need. Their product and service range includes inserts, electronic components, precision machine parts, studs, pins and wires and more. Friday Frolics - What Old Car Are You? Time for some silly fun. If you were a vintage car, what car would you be? If you were a car, you'd be sparkling clean and shiny. You always look good! When it comes to the road of life, you like it when all eyes are on you. You're the most polished car on the road. You may get irritated while driving, but you always remain cool. You could never imagine honking at another driver. You are the epitome of manners and grace. You like to hold your head up high. Corner sofas are popular again in recent years. A number of new homes that I have visited lately all have corner sofas. 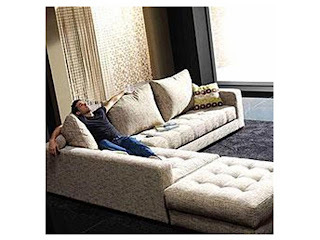 Corner sofas are flexible in that you can split them up as if they are two separate sofas. When it comes to home furnishings, the choices are endless. No matter what home style you choose, you have a wide range of furniture and other home decor stuff to pick from. But one thing is for sure, buying furniture online can give you substantial savings. 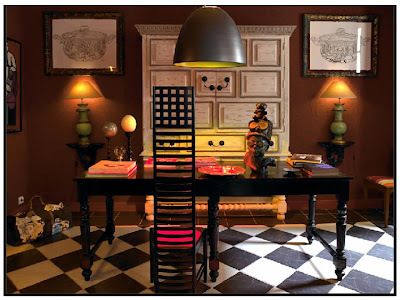 Shopping for furniture online also provides you with a lot more options both in products and designers. Mydeco.com is a one-stop shop for all things home, from furniture for every room in the house, to art to lighting, rugs, mirrors, tiles and paints, you name it - thus their tagline, Everything you need to design and shop for your home. Are you redecorating your room or home? Why not try out their design tool where you can plan out your room or home in 3D. This is a great tool to give you an idea of how your ideal space would look like before you go ahead with the move. You have heard of Rheumatoid Arthritis (RA), even Psoriatic Arthritis (PsA). What about Ankylosing Spondylitis (AS)? Ankylosing spondylitis (AS) causes the joints in your spine and the joints between your spine and hip bones to become inflamed and painful. Other joints can also become inflamed, but usually the joints in your lower limbs are more commonly affected. AS usually begins in the young adult years, before the age of 35, and affects men three times more than women. Just like treatments for Rheumatoid Arthritis and Psoriatic Arthritis being available, there is also ankylosing spondylitis treatment available. 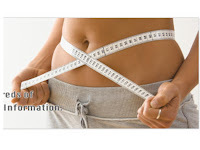 But we all know that prevention is better than cure, thus living healthily with the right amount of exercise and proper nutrition is the way to a healthy you. I was looking through the books section of an online store and came upon this interesting title, The Big Book of Breasts. Now, wouldn't that make for great reading but that's not the point. The point is, when it comes to literary works, any subject matter is game. I once bought a pink little paperback titled, How To Make Love To A Man. Seriously. I bought this book many years ago out of curiosity and maybe learn a thing or two. (ahem..) LOL! What I am trying to say is, if there is anything you are passionate about and know plenty of, you could write a book about it and there would be buyers. Other similar books available by the same author, Dian Hanson. Multinational joint replacement device manufacturer, Zimmer, Inc., marketed its Metasul Durom hip replacement cup as designed for use in young, active patients who are likely to outlive a conventional hip prosthesis. Unfortunately, these cups are failing at much higher than expected rate and have caused patients suffering due to the failed product. Zimmer has since unveiled their new metal-on-metal hip implant design. Hopefully, it will inspire confidence from consumers as opposed to the zimmer durom cup types. People who have issues on zimmer durom cup and having to undergo revision surgery, can seek compensation with the help of Maglio Christopher Toale & Pitts Law Firm. They have, for years, represented patients who have suffered effects of a failed durom cup hip replacement obtain compensation. If you run a business, you would want more exposure for your business in terms of having it listed in search engines and directories particularly in local search listings. 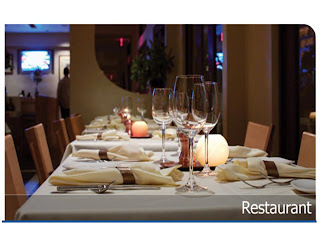 Not only that, you would want accurate information about your company being listed. Local Roll Call is what you need. 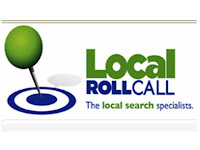 Local Roll Call is a listing agent to over 100 online search engines and directories, including Google and Yahoo!, Yellow Pages and other business directories. What they do is they distribute your business listing, categorize your products and services and align your business with popular and highly relevant search engine queries. With Local Roll Call working for you, the next time someone searches on Google Local or Yahoo Local, the experience will be a pleasant one - search results will be with relevant information and free of errors. So, take advantage of a free local business listing within the Local Roll Call directory or sign up for their paid syndication and listing optimization services. I imagine people in Singapore and those from the southern states who visit Singapore on a regular basis, are looking forward to the new Genting entertainment centre on Sentosa Island. I read the other day that there is a S$100 entrance fee for Singaporeans. Genting Highlands is the only place with an on-land casino in Malaysia (and Singapore) and it is popular with Singaporeans who sometimes make day-trips to the City of Entertainment as Genting Highlands is known. Travelling from Singapore to Gentings is not a short distance. It takes five to six hours of travel on land. Making a trip once in a while is not a problem but if one enjoys casino-gambling, it is quite a hassle having to go through such long travel hours. That is the reason why many resort to casino-gambling online these days. There are many online casinos available and one of the better ones is Online Casinos Planet. Theirs is a quality website with useful casino information. They have a ton of games available, some are even free to play. For serious players, they have information and tips to better your game. Check out their interesting videos of what you would experience if you were to visit Las Vegas. By the way, let's just take an exciting virtual tour of Las Vegas casinos. A POS system is what one would need if one is looking into setting up business be it operating a restaurant, a retail shop, setting up a bar or a nightclub, a yoghurt business, or any service enterprise and many more. One POS or Point of Sale company that provides a one-stop shop for complete POS System solutions is POS Geeks. Based in California, they provide a focused range of innovative products and services that help you take control of your business by improving your profitability, accuracy, and maximizing the efficiency of your employees. They take care of stuff like installation of systems, software training, merchant processing, ie., (ATM/Credit card/Check/Gift card processing) as well as consultation and support 24/7 365 days. They even provide financing. If you are planning to start a business or would like to improve on your existing business, POS Geeks would be the people you need. I've oftentimes wondered how difficult it is to play a musical instrument and sing at the same time or play while others sing. I need wonder no more after reading how to play accompaniment piano, a course that teaches a step-by-step system that unleashes the secrets to exciting piano accompaniment. This 3-DVD course includes a handbook featuring piano accompaniment techniques commonly used by professionals, techniques that include chordal styles and rhythmic patterns. A collection of songs are featured in the DVDs and a demonstration by an accomplished pianist on the usage of various accompaniment techniques. Sheet music is also provided. If you are looking into improving your piano accompaniment, this would be the course for you. Here's a demonstration of what you could achieve with the course..
Are you a member of AAM? That's the Automobile Association of Malaysia. For vehicle owners, this is one great association to be a member of. Most people do not see the need to join probably because we have our own favourite auto mechanics or workshop when we encounter car problems. Like insurance, the AAM membership is hardly made use of if we keep our car in good condition sending it for timely service and all. The acid test of the AAM service comes when your car is totally immobile in the middle of the night and you need help. AAM provides 24 hour towing at no charge at all within the city. 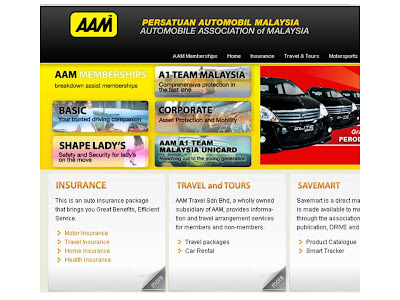 Unlike insurance premiums, yearly membership to AAM is less than a hundred ringgit. I say it's worth the investment for peace of mind, don't you? Friday Frolics - What's Your Travel Personality? Carrying on from the previous post of sunsets and cruises, let's do a travel personality quiz this week. With each one of us having our own individual travel preferences, it should be interesting to see how many travel personalities there are. Have you ever been on a cruise? After hearing friends and colleagues sharing how much they enjoyed their cruise holidays, I have decided to put a cruise holiday on my travel list. Some of the cruises they have been on include the one along the Nile, in Scandinavia, Alaska (going up-close to an iceberg), Mediterranean, Hong Kong, Vietnam, Langkawi, and Phuket. I once saw a documentary on the Yangtze River cruise. Awesome scenery of mountains and rivers that one. There are many cheap cruises available if you know where to look. I hear watching the sun going down can be an unforgettable experience on a cruise ship especially on the ship's upper deck. Sunsets must be one of nature's most beautiful wonders. They simply take your breath away, all that red and orange hues across the mesmerizing sky - nature's artwork at its best. Colourful sunsets can be viewed all over the world but there are some places that are best for viewing sunsets. Over the ocean is one and the Andaman Sea must be one of the best places to view a sunset this side of the world. 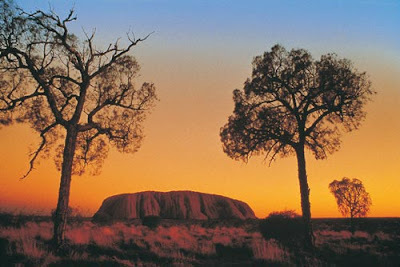 Another great place would be at Australia's Ayers Rock or Uluru as it is known in its native language. Did you know that this sandstone formation turns red at sunset? 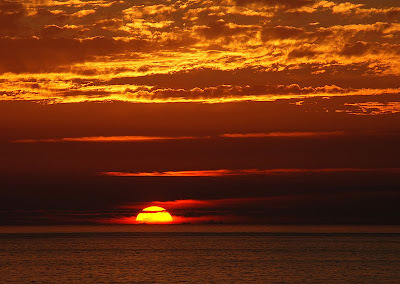 It is actually due to the sun's rays passing through air particles that makes it the colour it is at sunset. The desert with its sand-dunes would be another great place to view sunsets. Watching the sun set over Egypt's Great Pyramids would be awesome too. 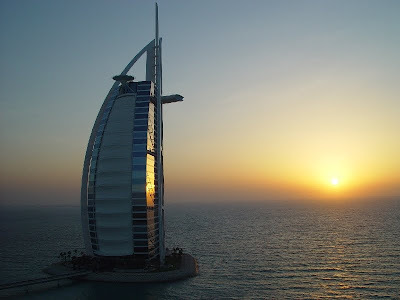 How about sunset over the Burj al Arab? That's beauty all around - the sky, the sea and a stylish hotel. Spoilt for choice is what we are in this age and time. No wonder the Chinese has a saying that goes, too many flowers confuse the sight. I had trouble picking out chocolates for a gift over the weekend, and the other day I couldn't help noticing a lady customer taking extra time deliberating over the choice of an anti wrinkle lotion. Have you ever experienced being at a loss in the face of too many choices? Guys/dolls included. Kidding! 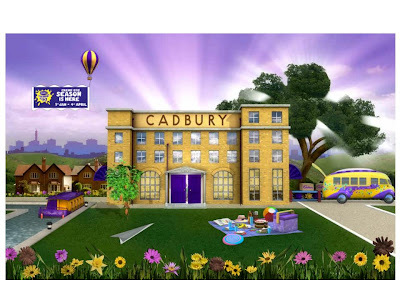 By the way, Cadbury has been sold to Kraft at a knockdown price. Are You into Multi-level Marketing? It is hard not to notice all those ads about working at home or home-based business. Multi-level marketing has been around in Malaysia for decades now and is growing in strength and diversity where products are concerned. Where I work, Tupperware, Cosway and Amway are the popular MLM outfits. At least it is good to know that these products are within easy access if and when required. And then there is someone marketing hgh supplements and another making some serious side-income bringing in batik from Indonesia. Beginning of the year is always a time for new resolutions to effect a positive change. Among other aspects, I am also looking into being fitter and trying a new workout program. Did you know that you could get a total body transformation in just 90 days? This Power 90 program teaches you to work a specific muscle group to guarantee serious muscle growth and fat loss throughout the entire body, one area at a time. The time you need to spend on the exercises is just 30 minutes a day. If you think 90 days is too long, try the 60-day high-impact program. However, not everyone qualifies for the Insanity Workout because it contains 10 insane workouts. You'll qualify if you are among those in top physical shape, extreme athletes, graduates of other similar programs, Cardio lovers and former high school/college athletes. People who do not quality are Beginners to fitness, Pregnant Women, People who are not used to high impact exercise, and People who don't like to work hard. I think I have found something that might work for me. But mind you, I am not looking into something to help lose weight (thank goodness weight is never a problem for me) but more so to stay fit amd toned and does not take up too much time. It's called the 10 Minute Trainer. 10 Minute Trainer workouts combine cardio and strength training simultaneously, rather than one followed by the other. Best of all, I can easily customize the program to work with my schedule making it easy to fit in workouts all week long. Movie and music awards events are always thronged by fans. 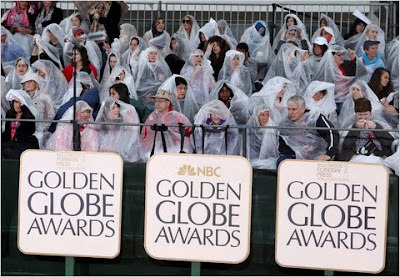 It was raining at the Golden Globes award ceremony last night but that did not deter fans from gathering outside along the red carpet wrapped in plastic ponchos and cheered as slightly soggy celebrities passed by. Picture below courtesy of New York Times. I wonder if anyone brought along an electric blanket considering the current increased snowfall this winter. Alright, maybe not, Los Angeles weather is not as bad. The Beverly Hilton Hotel is where the 67th Annual Golden Globes ceremony was taking place. The ceremony was seen in more than 160 countries worldwide, though I missed it. Was it shown on Astro? Anyone? Here is an interesting story that The Star reported today. This ancient Chinese bowl which a man in Besut (Kelantan, I think) inherited has magical powers and can even cure erectile dysfunction. Mind you, not something as simple as an allergy relief, but erectile dysfunction. The bowl, believed to date back to the 16th century, was given to Mohd Nor Daud, 70, by his ancestors probably by traders from China. He claimed that even seawater could turn into freshwater that was safe for consumption if stored in the bowl for eight hours. Cooked food such as chicken curry could be kept in the bowl for days without refrigeration — and the food would not go bad. the bowl, measuring 132cm and 16cm, would also produce a violin-like melody when it was slowly tilted to its side. He also said those who intend to hold the bowl must clean their hands thoroughly or they would not even be able to lift it. Mohd Nor also claimed that an old man appeared in his dream once, revealing to him how to use the bowl to cure illnesses. However, he said he was unable to comprehend the message in the dream. 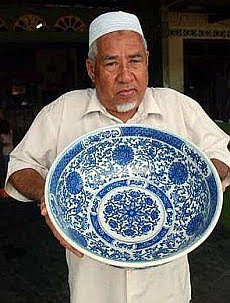 He had been offered RM5,000 for the bowl but he turned it down. He said he would hand it over to his children when the time is right. 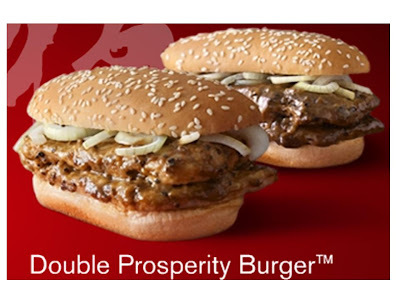 McDonald's is serving these Prosperity Burgers again. Prosperity burgers are served only a month or two before the Chinese New Year (thus its name) for a period of three or four months. I think it's a great idea so that we'll miss them for seven or eight months and then get that zest back for it when it comes around again. A Prosperity Burger is a longish burger with the patty dipped in delicious black pepper sauce. A colleague has been having these burgers so much that she's beginning to sprout pimples. If the condition gets any worse, she probably will need to get tazorac to alleviate her skin condition. Are you a fan of McD's Prosperity burgers? Beef or chicken? In about a month from today, the Chinese community will be celebrating the Lunar New Year and with that comes food, plenty of food. Uh-oh, what does that spell? Weight-gain, of course. The Lunar or Chinese New Year is a period of merry-making and lavish dinners. Exercise is a great way to counteract the effects of the excess food but for some, diet supplements is the answer to help fight fat. Have you tried any fat burner before? Have you ever bought a new computer, a printer or a scanner and could not get it to work after installation? Most times, we fail to realise that a new gadget requires a driver update to make it compatible with the other equipment. A majority of PC problems that we encounter, including poor PC performance, computer freezes, hardware failure are associated with outdated drivers. Having the correct computer drivers installed will improve performance and generally make your PC perform at optimal level. Instead of wasting time searching for the desired driver, DriverAccess can save you time with their extensive selection of windows drivers and others. Downloading the software requires only a few minutes. Once opened, you can run a free scan and check for outdated drivers. You can then purchase a subscription key to automatically download relevant drivers and upgrade them. It is important to note that computers that operate without proper drivers or outdated drivers are prone to system crashes and hardware failure. Best to ensure that drivers are updated at all times to prevent this from happening. In Feng Shui and Indian astrology, eclipses are seldom viewed in positive light. It is perceived that they bring negative events or bad luck. We just had a solar eclipse this afternoon with a duration of a good 11 mins and 8 secs. The solar eclipse of January 15, 2010 is an annular eclipse of the Sun with a magnitude of 0.9190. A solar eclipse occurs when the Moon passes between Earth and the Sun, thereby totally or partially obscuring Earth's view of the Sun. An annular solar eclipse occurs when the Moon's apparent diameter is smaller than the Sun, causing the sun to look like an annulus (ring), blocking most of the Sun's light. An annular eclipse will appear as partial eclipse over a region thousands of kilometres wide. It is visible as a partial eclipse in much of Africa, Eastern Europe, Middle East and Asia. It is seen as annular within a narrow stretch of 300 km (190 mi) width across Central Africa, Maldives, South Kerala (India), South Tamil Nadu (India), North Sri Lanka, parts of Burma and parts of China. The eclipse starts at the Central African Republic, traverses Camaroon, Congo and Uganda, passes through Nairobi, Kenya, and enters the Indian Ocean and reaches greatest eclipse. After that it enters Maldives, where it would be the longest on land with 10.8 minutes of viewing. This makes the tiny islands of Maldives the best spot for viewing this eclipse from land. The annular Eclipse at Male', the capital city of Maldives starts at 12:20:20 hrs and ends 12:30:06 hrs Maldives local time (UTC+5). This is also the longest duration of any city having an international airport in the eclipse track. At approx 13:20 IST, the annular solar eclipse enters India at Thiruvananthapuram(Trivandrum), Kerala and exits India at Rameswaram, Tamil Nadu. 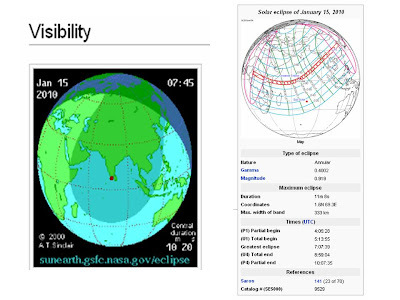 The eclipse is viewable for 10.4 minutes in India. After Rameswaram, enters Sri Lanka at Delft Island, exits at Jaffna in Sri Lanka, cross Bay of Bengal and again enters India in Mizorum and then ends in Burma - China border. For best viewing of the eclipse, you need to travel to Maldives, where many International flights land and take off everyday, being a world famous tourist destination. Visa for Maldives is free for 30 days for a tourist entry. Friday Frolics - What Type of Poem Are You? Ahh... it's Friday again. Hooray!! Now, to business of the day. If you were a poem, what type of poem do you think you are? Do the quiz to find out. Friday Frolics: Take a Quiz. Annoy Your Friends. It is always helpful when the store you are doing business with has samples to show you. The more samples the better because they give you an idea of what is available and the possibilities. Shopping online included. Take for instance if you are shopping for signs, and we are talking about those banners and stuff that you string across posts or stick up on your lawn. BigDaddySigns is just what I am talking about. 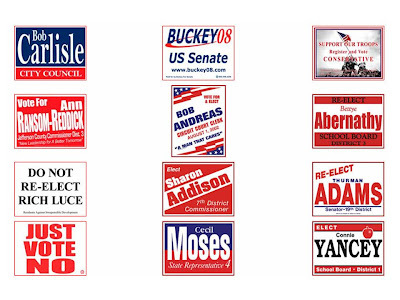 BigDaddySigns is the leading provider of banners and lawn signs including political signs and realtor signs. Their signs come in corrugated plastic or aluminum, all professionally done up. With their staff of highly-skilled graphic designers and a huge template library, they would be able to ship completed orders within a day. Like everything else, the Internet is also like a double-edged sword. It can be used for good, it can also be used for bad. 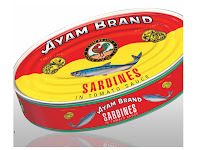 Ayam Brand has denied allegations circulating on the Internet that its sardines contained non-halal ingredients. In a statement yesterday, the company said its sardines and mackerel products, and factory in Taiping were certified halal by the Malaysian Islamic Development Department’s (Jakim). “Muslims and non-Muslims can consume Ayam Brand sardines and mackerel with peace of mind,” it said. The company added that it was contemplating action against those who were behind such false statements. Incidentally, this is the only brand of sardines that I buy. Other brands just don't match up. By the way, I read that If you have arthritis, do eat four to six fish meals a week, especially salmon, sardines, mackerel, albacore tuna and herring. Also, eat lots of vegetables and spices such as ginger. Celery seed eases gout, a form of arthritis, according to one expert. There you have it, one of several arthritis treatments the natural way. The Internet is truly a wonderful resource for everything, whether you are looking for the item or not. Case in point.. While searching for an image for the previous post on hit searches, I stumbled upon a site with this picture. It's not meant to be funny but I'm just merely driving home a point that the Internet is an awesome tool and we are lucky to be living in this day and age. On a different note, one of my girlfriends is right now looking at ways to reduce belly fat. She is trying to do that before Chinese New Year comes around so that she can partake in the season's feast. Once in a while our blogs get hit by some weird yet intriguing search words. The other day, "where" hit my site. Sometimes, it could be just by error, the user hitting Enter before the search terms could be completed - I'm sure we all have done that. Other times, it could be intentional. Today, my curiosity was stoked by this infectious laughter, kakakakakakakakakakakakakakakakakakaka. What's the most amusing or intriguing word or phrase that has hit your site? 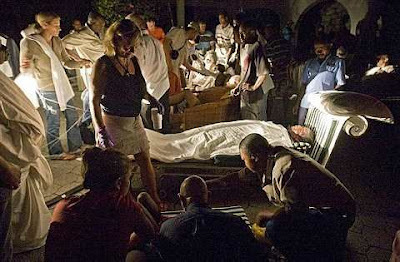 The Star reported today that the strongest earthquake in more than 200 years rocked Haiti on Tuesday, collapsing a hospital where people screamed for help and heavily damaging the National Palace, U.N. peacekeeper headquarters and other buildings. 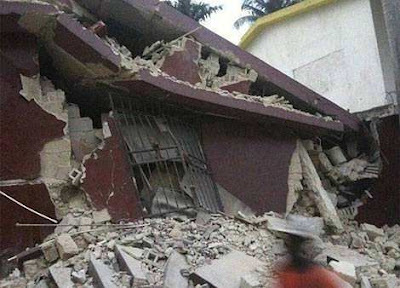 The earthquake had a preliminary magnitude of 7.0 and was centered about 10 miles (15 kilometers) west of Port-au-Prince at a depth of 5 miles (8 kilometers), the U.S. Geological Survey said. U.S. officials reported bodies in the streets and an aid official described "total disaster and chaos." United Nations officials said a large number of U.N. personnel were unaccounted for. Communications were widely disrupted, making it impossible to get a full picture of damage as powerful aftershocks shook a desperately poor country where many buildings are flimsy. Electricity was out in some places. - "there must be thousands of people dead," according to a spokeswoman for the aid group, Sara Fajardo. - "They reported structures down. They reported a lot of walls down. They did see a number of bodies in the street and on the sidewalk that had been hit by debris. So clearly, there's going to be serious loss of life in this,"
- the headquarters of the 9,000-member Haiti peacekeeping mission and other U.N. installations were seriously damaged. - "Contacts with the U.N. on the ground have been severely hampered. For the moment, a large number of personnel remain unaccounted for." 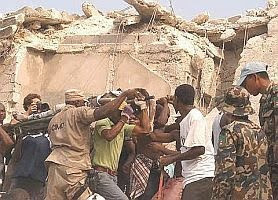 - a portion of the National Palace had disintegrated. - "Buildings collapsed all over the place,"
- "We have lives that are destroyed. ... It will take at least two or three days for people to know what's going on." - Elsewhere in the capital, a U.S. government official reported seeing houses that had tumbled into a ravine. - a small hotel near their home had collapsed, with people inside. - "They told me it was total chaos, a lot of devastation,"
- "buildings were crumbling right and left" near the national palace. - With phones down, some of the only communication came from social media such as Twitter. - The news, based mostly on second-hand reports and photos, was disturbing, with people screaming in fear and roads blocked with debris. - "Everybody is just totally, totally freaked out and shaken,"
- "The sky is just gray with dust." 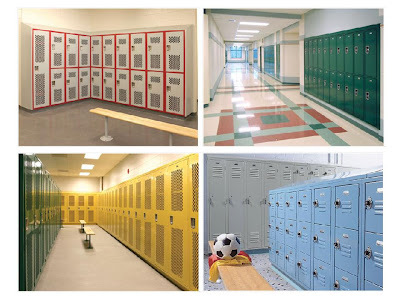 A locker is a great place to store one's belongings in a public domain such as a waterpark, a shopping mall, a train station, the gym even a bowling alley. Rental of lockers is inexpensive and it offers safe-keeping of your personal effects besides leaving you free of any baggage albeit for a short while. For durability, school lockers and gym lockers are usually made of metal but there are wood lockers as well as plastic lockers available. If you are looking to buy lockers, Morelockers.com has a wide selection of all types of lockers to suit every need. As a matter of fact, they have discount lockers for sale at this moment. Do check them out for your locker requirement. Weddings can cost big bucks for happy couples looking to tie the knot unless it's just a simple ceremony at the courthouse or the marriage registration office. In addition, there are the thousand and one things to look into leading up to that happy day. One of the most important action items on the list has got to be the photography. Wedding photography has come a long way. Professional wedding photographers like those from Hendricks Kim Photography provide a fresh, distinctive approach to weddings. They capture your day as it truly happens providing you with real, unscripted images with the end results being extraordinary with timeless pieces of art reflecting the story of your celebration. With their highest level of technical merit and artistic creativity, Hendricks Kim photographers offer only the best coverage for your celebration ensuring that your wedding day will be smoothly captured providing fond memories in years to come. These accomplished photographers are based in Seattle but travel extensively and frequently - commissioned across the country and worldwide. Okay, a sight for sore eyes here.. Believe it or not, this is body-painting. Picture courtesy of Mrs Kutcher's twitpic. That's Demi Moore, if you are more familiar with her celeb name. Are You Shopping Online Yet? From flea market shopping, let's move on to online shopping, shall we? Anyone who has done any online shopping will agree how easy and convenient it is. Online shopping is getting more and more popular as consumers see the value of this convenient way of shopping with just a click of the mouse. People buy big-ticket items online these days from boats to Samsung LCD tv to Hush Puppy shoes to a cropped denim jacket, to lingerie to toys and so forth - all without the need of leaving the home. What's more convenient than that?! 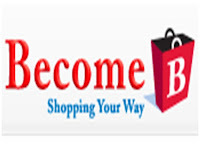 If you are looking for somewhere to shop where you can get almost everything, check out Become.com. The store is easy to navigate. All items are by category from automotive to baby products to clothes and cameras, jewelry and watches, shoes, etc. Oh, and you can even find Jessica Simpson Clancey Boots here too. Wait! An item so exotic as Patagonia fleece is also available, besides other more common items like toddler car seat or a Reebok exercise ball. Looking for watches? They have Timex Ironman watch and Invicta Swiss watch among their selection of watches. You may want to check out Become.com the next time you go shopping online. Winter this year is unusually cold, so much so that it is making headlines almost everyday. This bad weather condition has got some people making their way south to avoid the extremes of temperatures and to stay warm. If you are looking for a warmer climate that offers some respite from the cold up north, perhaps Myrtle Beach in North Carolina may be what you are looking for. Myrtle Beach accommodations are plentiful and easily available for booking. Myrtle Beach Resorts offer some of the best in terms of holiday accommodation. 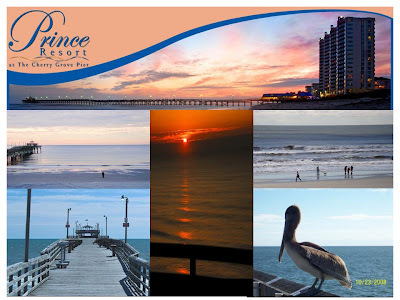 Prince Resort, a popular Myrtle Beach Resort, offers comfortable, modern accommodations. Being situated at the entrance to The Cherry Grove Pier, you would have easy access to all the excitement of the Grand Strand. Prince Resort provides the perfect waterfront location for relaxing, with plenty of dining options and leisure activities to suit all preferences. You won't find a moment of boredom. Their condos are spacious and all oceanfront, offer fresh air and breathtaking view of the ocean and sunsets. You can wander down to the bustling fishing pier or go for a stroll along quiet marshlands with colorful wood ducks floating nearby. I believe a holiday staying at Myrtle Beach accomodations would be a pleasantly memorable one. A girlfriend jokingly suggested that I should seriously consider setting up a stall at a flea market selling my clothes. Ouch! That's from me having to part with my clothes and from the closet, bursting at the hinges. LOL! Okay, jokes aside. Have you been to a flea market or when's the last time you were at a flea market. I love flea markets not so much the actual shopping but the sight of so many little long-forgotten stuff (curios and all) that if not for the flea market, would otherwise have been stashed away somewhere collecting dust for another decade or so. Hmm.. I wonder if breeches are also available. If you are interested in going to a flea market when in Kuala Lumpur, one at the Amcorp Mall and the other at Mont Kiara are the two I'd recommend. They are open on Saturdays and Sundays. Friday Frolics - How Cluttered is Your Mind? LOL! Oh, wow! But hey, it's only a quiz. Your mind is clear, focused, and downright zen like. You have the amazing ability to almost completely control your thoughts. If you would like to take advantage of the gas subsidy, consider changing your gas-guzzler to a smaller-engined car before May 1. The frontpage of The Star carries this article, Fuel Prize by Car Size and it says the bigger your car, the more you will have to pay for petrol from May 1. This is because the Government is going to change the way fuel is subsidised. The plan is for a fuel pricing mechanism that will ensure only targeted groups, particularly those from the lower-income, will receive fuel subsidy. If you have a bigger-engined car, you will have to pay more for fuel. Also, foreigners who drive into the country to fill up their tanks will not be eligible for subsidy and will have to pay more for fuel. The move was based on the assumption that those in the lower income group would normally drive a car with a lower engine capacity and thus be eligible for the subsidy. Is this a fair assumption, do you think? Also, MyKad may need to be produced when buying petrol. For RON95 petrol, the subsidy is 30 sen per litre. The current price of RON95 petrol is RM1.80 compared with the actual price of RM2.10. Higher engine capacity cars and non-Malaysians may have to pay RM2.10 or more for RON95 after May 1. Does Your Home have an Address Plaque? House-owners here are not too bothered about having address plaques, let alone fanciful ones. At best, there is just the house number outside the house and at worst, no number plate at all. It is a wonder the postman is able to deliver the mail. I must say an address plaque does enhance the look of a house, don't you think? At least it gives a house an identity. So, if you are planning to place an order for an address plaque or an address sign, you may want to check out JustAddressPlaques.com. 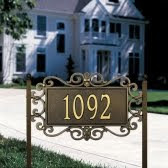 They have many designs of residential and commercial address plaques as well as address numbers, address posts, specialty plaques and mailboxes. Right now, they are having a sale with substantial markdowns. There is also a Deal of the Day. If you are interested to get email alerts on their exclusive 24-hour web specials, you can sign up for it. No matter what kind of climatic conditions one is living in, either in extreme cold weather or hot and humid temperatures, it is important to give the skin the right care and protection. It is therefore important to be using the right kind of skin care products. 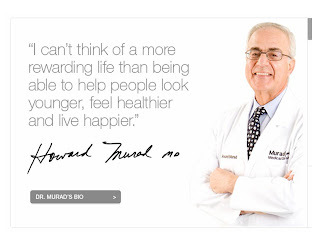 Dr Howard Murad, a leader in skincare science, has numerous patents on various products, including acne products and products for age spots. If you've tried other acne products with no success, Murad acne products may be able to help you. The products are different. Murad acne products balance oil production to soothe inflammation without drying out your skin. Achieve clear, healthy, beautiful skin in less than 4 weeks. It's 100% guaranteed or your money back. The Age Spot & Pigment Lightening Gel fades sun spots and age spots and improves clarity by lifting away dark, damaged cells. It even tones skin and exfoliates to restore skin clarity. 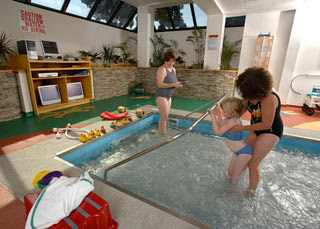 Swimming pools are great places for families to spend time together. In our hot and humid weather, the cool water in the pools is most inviting on a hot day especially with a canopy overhead and a chilled refreshment in hand. Ground pools besides costing much more, take months to build, whereas an above ground pool costs a lot less and is easy to install, plus, you can take it along when you move house. It is easy to see why more and more people are turning to above ground swimming pools. 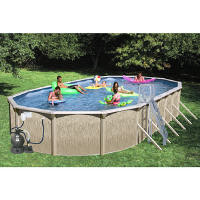 There is a wide selection of popular above ground pools available in the market. Installation is straightforward and not too difficult. An easy-to-follow instructional video to guide you through installation is included in the pool package. Maintenance is equally easy and hassle-free. People here normally do not carry their checkbooks around. Do you? I think it is probably because personal checks are not that readily accepted by smaller-scale stores. I hear that overseas as in the West, personal checks are accepted even for small amounts. And now, the U.S. is going as far as accepting phone check. How it works is that the system allows a business to print a check draft of its customer's check when authorized and immediately deposit the check draft. A powerful Windows-based software makes this possible. Third World countries have a lot to catch up on..
Never before has the human race been more concerned about climatic changes than now so much so that nations are getting together trying to formulate action items to reverse the effects or to slow them down. Not sure if the recent Climate Conference in Copenhagen was a success though. Still, with so much publicity about icebergs in the Arctic Circle and ice caps on mountain peaks melting, etc., one can't help but be aware of the impending doom of this planet we call home. In some small ways, everyone is trying to chip in. Even movie-makers. I haven't seen the movie, "Avatar", but from what I've read, it's also talking about the environment. 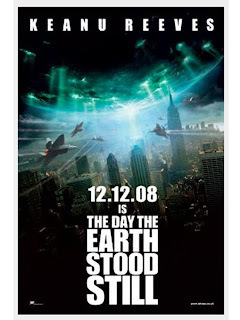 The other day, I saw The Day The Earth Stood Still. This story tells of aliens (supposedly of a higher order) coming to Earth with the aim of saving it by destroying humans (as they claim that humans are the ones destroying the planet - no surprise) but before that, they save all animals a la Noah's Ark style. The main man is Keanu Reeves - one of my fav actors. It's on Astro this month. Catch it if you can. I was briefly reading the online Star this morning, and came across a number of green stories, ranging from a cookbook to composting to shopping to even cremation. Good info, check them out.. The Internet has made life a lot easier when it comes to shopping for your needs, especially so for those who do not have easy access to a store or even if they do, certain low-demand items are not carried by the store. Also, online shopping provides an extensive choice of items. We can get practically everything online these days. Baby gates, pet gates or generally, stairway gates are not often found off-the-shelf. We are lucky here that we can get carpenters and an ironworks person to fabricate a desired child safety gate. For those who do not have this luxury, online stores is the answer. KidSafeInc.com is a great resource to learn about and buy quality Baby Gates. They have an extensive range of child safety gates, KidCo Gates. 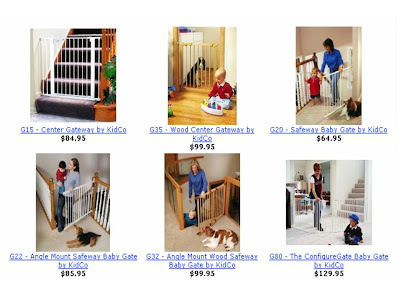 They have Pressure Gates, Pet Gates, Stairway Gates and Extra Wide Baby Gates to meet all needs. There is nothing more important than a child's safety, so don't leave anything to chance, foolproof your home with a baby gate. The new year is always a time in which we vow to get things done, to start afresh. Resolutions come to mind. Some will vow to get fit. Others will aspire to break bad habits. If getting veneers for your teeth, i.e., getting your teeth capped is on your list, you might want to check out the latest and improved technology replacing dental veneers. Those who have gone through dental capping or crowning would know how tedious, how uncomfortable and painful the process is. But with Lumineers, there are no shots, no drilling of sensitive tooth structure, and no pain. That’s because Lumineers, made from patented Cerinate porcelain, are ultra-thin so they can simply be placed over your existing teeth. All it takes to get you looking and feeling great is just two visits. The process is even reversible as no tooth shaving is needed. Also, Lumineers are proven to last for over 20 years so your beautiful white smile will be with you for years and years. Lumineers are the latest in cosmetic dentistry. 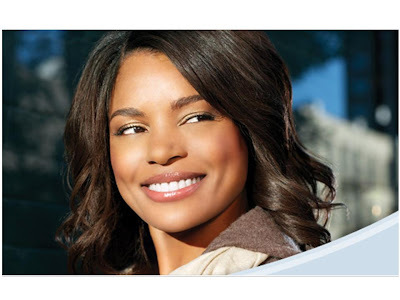 Even award-winning celebrities are turning to Lumineers for that red carpet smile. Have you heard of swim spas? Just like a regular spa rejuvenates, a swim spa achieves the same result, and more. Aquatic therapy pools are not only used for rejuvenating the body, they are also used for training as in supplementing athletes land workouts with the underwater treadmill and resistance jets for joint-friendly training or conditioning. These aquatic therapy pools, from HydroWorx, are used for therapy by clinicians - physical therapists and orthopedic surgeons. Treating patients earlier help them recover faster with the HydroWorx therapy jets, underwater treadmill and massage system. Combining professional grade quality with state-of-the-art technology makes HydroWorx's therapy pools the most advanced, highly-functional aquatic therapy equipment on the market. For home use, there are two series, the T-Series and the L-Series. The T-series is very spacious, suitable for advanced fitness or rehabilitation; underwater treadmill, resistance jets and massage included. The L-Series lap pool offers spacious stairs and bench seating for up to six people. The water treadmill and resistance swim jet systems provide a joint-friendly workout. These pools not only rejuvenate the mind and body, they offer therapy and rehabilitate people with conditions such as Parkinson's, arthritis, post-polio, fibromyalgia, and so on. 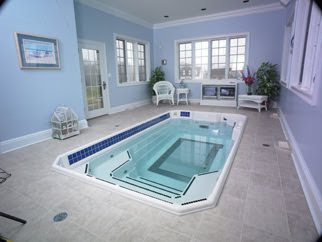 HydroWorx has an extensive range of different models of professional aquatic therapy pools, each with its benefits and uses and one to meet any user's needs. 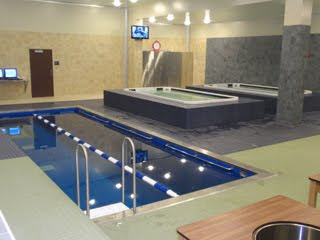 Their Thermal Plunge pools, for instance, enhance recovery through heat therapy. These warm water pools are filled with innovations designed to create the ultimate recovery and revitalizing environment. Warm or hot water (94° - 104°) relaxes tight muscles and stimulate the release of endorphins. Powerful massage hoses easily attach for specific deep tissue therapy. I am sure I will enjoy this one after a long hard day in the office. Their Polar Plunge pools or cold water pools on the other hand, keeping water temperatures at a therapeutic 50° help control joint inflammation and enhance muscle recovery. Strategic jets can be positioned in any format including trigger point patterns for a soothing massage while powerful massage hoses easily attach for specific deep tissue therapy. English Premier League Champions, Manchester United, one of the most successful clubs in England, has a HydroWorx pool installed at their Carrington Training Centre to better provide their footballers with all-round conditioning and strengthening. Chelsea FC and Aston Villa FC also have the facility in their training centre. It is not surprising as every day, over 15,000 athletes and patients use HydroWorx technology to recover from injuries and health conditions. Other sports clubs owning a HydroWorx aquatic therapy pool include the New South Wales rugby team, Waratahs; and ice hockey team, Ottawa Senators. The prestigious, award-winning, The Shilla Hotel, owned by Samsung Corporation, also has this state-of-the-art HydroWorx aquatic therapy pool. Lou Lou's Corner of Quality Clothes, Toys & More..
Christmas may be over but if you are looking for stuffed toys with a difference for birthday gifts, Lou Lou's Corner would be the store to check out. Their Jellycat line of stuffed toys and soft books provides affordable and beautifully designed creations meant to instantly soothe children and bring a smile to their face. Jellycat toys are incredibly soft and uniquely designed for cuddling and are some of the best-selling products at Lou Lou’s Corner. All of the plush toys are softly stuffed to make them much more resistant to any possible tearing or splitting thus they last longer. 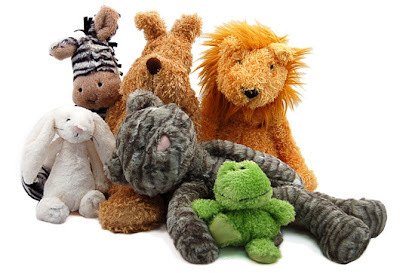 Jellycat, a British company which began operations in 1999, makes toys that meet or exceed all American Testing Standards ASTM as well as the European Union’s EN71 stringent standards for toy safety. If it's clothes for children and infants you are looking for, their Barefoot Dreams CozyChic collection will not disappoint. Apart from clothes, Barefoot Dreams features a line of luxurious blankets and throws for infants, toddlers, and adults. The sumptuous robes, hoodies and v-necks quickly make Barefoot Dreams everyone's favorite loungewear! Appaman is another popular brand at Lou Lou's Corner. Appaman, a Scandinavian company, is a children’s clothing line that carries comfortable clothes with a touch of fun flair. Adorned with their signature monkey, Appaman provides clothing for both boys and girls that are designed with playtime in mind. Vibrant colors and simple designs keep Appaman’s clothes fresh and modern, making them a must-have for contemporary parents and a favorite for kids. Appaman comes out with a fresh new collection each season that never fails to surprise and delight. Friday Frolics - What Color Ideas Do You Have? Colors are a major part of life. We live in color, even dream in color. But do abstract things have color? This week's quiz says ideas have colors. So, what color are your ideas? Sounds a little weird, huh? Do the quiz anyway, just for the fun of it. When you think, you tend to have intelligent and complex ideas. You could never explain where your thoughts come from. Your thinking process is very mysterious. Your ideas tend to be difficult to grasp. You are very wise, and your ideas tend to have many layers. You are a spiritual and enlightened person. Even your simplest idea packs a profound punch.